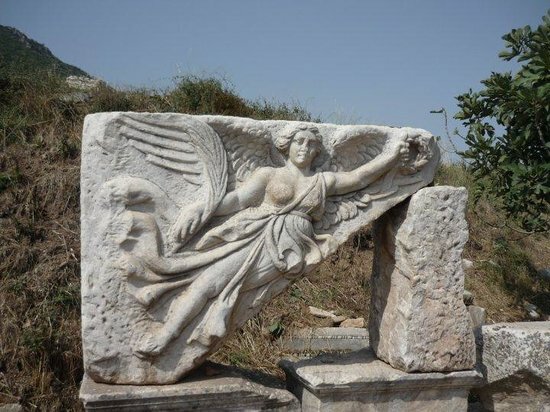 Ephesus Tours From Kusadasi Another great thing about some of the private Ephesus tours is that there are some places that are not included in the tours, but of the tourists have enough time, they could visit them. For instance, there are some companies that do not include the Terrace Houses in their private tours. However, with the availability of enough time, tourists can request to visit the terrace houses in the city. These houses are situated in the Bulbul Mountains. Opposite to the mountain is the Hadrian Temple, which is also a place to visit. The specialty of these terrace houses is that they were for the wealthy people of Ephesus, which means that not all could afford those houses. ephesus day tour, ephesus excursions, ephesus full day tour, ephesus full day tours, ephesus half day tours içinde ephesus tours from kusadasi etiketleriyle 10 Temmuz 2013 tarihinde Altan Akkaş tarafınadan gönderildi.